UPDATE: EVERYONE WHO POSTED A COMMENT WITHIN THE SPECIFIED TIME ON MARCH 6, EITHER ON HELEN’S BLOG OR MINE, WAS PLACED IN THE DRAW FOR THE BOOK GIVEAWAYS. Today we commemorate the 962nd anniversary of the passing of Emma of Normandy, Queen of England, an event that occurred on March 6, 1052. It is a joint effort by two novelists who have made Emma the central character in their books. The Book: In Helen Hollick’s novel The Hollow Crown (UK title)/The Forever Queen (US title), Queen Emma is smarter than history remembers and stronger than the foreign invaders who threaten England’s shores. She risks everything on a gamble that could either fulfill her ambitions and dreams or destroy her completely. The Author: Helen has also written a trilogy of novels about Arthurian Britain: The Kingmaking, Pendragon’s Banner and Shadow of the King, as well as Harold the King (UK title)/I am the Chosen King (US title), the story of events that led to the Battle of Hastings in 1066. She also writes a pirate-based nautical adventure series, the Sea Witch Voyages. She lives in Devon, England. The Book: Patricia Bracewell’s novel Shadow on the Crown, the first book of a trilogy about a young Emma of Normandy, covers the early years of her marriage to a haunted English king. It is a tale of murder, intrigue, treachery and passion set against the constant threat of Viking invasion. In the midst of it all, Emma must make choices that will determine not only her own fate, but that of England as well. 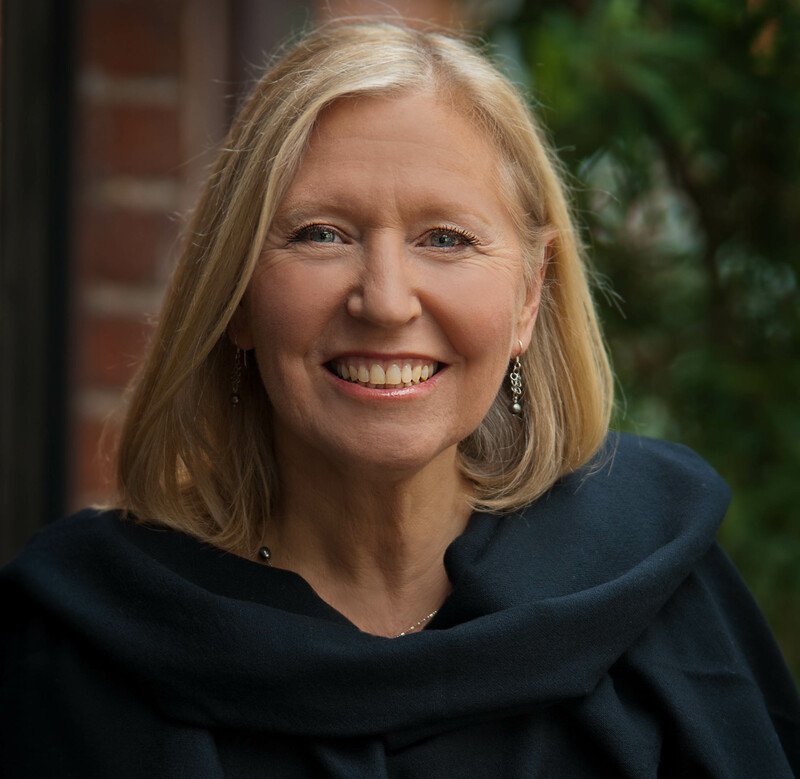 The Author: Patricia’s second novel, the sequel to Shadow on the Crown, will be published in 2015. She lives in Oakland, California. During two different hour-long time slots today we will be online to answer YOUR questions and respond to YOUR comments. US Eastern time: 9-10 a.m. US Central time: 8-9 a.m. US Mountain time: 7-8 a.m. US Pacific time: 6-7 a.m. US Eastern Time: 5-6 p.m. US Central Time: 4-5 p.m. US Mountain Time: 3-4 p.m. US Pacific Time: 2-3 p.m.
Below are our answers to six questions about Queen Emma and our books. After you read them, we hope you’ll join us per the schedule above to chat. See below for GIVEAWAY and commenting info. PAT: I think writers just weren’t aware of her. I certainly wasn’t. Until fairly recently, even popular histories that dealt with English royalty started with William the Conqueror. It was as if England didn’t exist before 1066. Writers like Bernard Cornwell and Rob Low, though, have set some pretty remarkable novels in pre-Conquest England. I think that through them, writers – who are all avid readers – are discovering a whole new cast of characters with fascinating stories. HELEN: Until recently, the majority of pre-conquest English history has been ignored, not just Emma. That is why I wrote my novel Harold the King (title I am the Chosen King in the US). I was so fed up with English history books starting at 1066. We have a rich, varied and interesting line of history that goes back many centuries before Duke William of Normandy stole the English throne for himself. I wanted to redress the balance – and discovered Emma while doing so. It is wonderful that more and more readers and writers have finally discovered that there was life before 1066! PAT: Do Not Change History has been my rule of thumb. But there are so many gaps in the 11th century historical record that I had plenty of leeway to imagine motives, passions, relationships, and intriguing plot developments. HELEN: I think it depends on what type of novel you are writing. If based on fact, then the facts that form the basic plot of the story should be as accurate as possible. If the story is pure fiction – especially if it contains an element of fantasy or alternate history, then it is not so essential to get the facts right. Having said that, it is the accuracy of a period that makes the book believable. Someone writing about the Battle of Hastings and placing it in 1067, not 1066, for instance, would not have their novel taken seriously. PAT: That in her maturity she commissioned the production of a book that essentially told her side of some of the events that occurred during her lifetime. Scholars call it the Encomium Emmae Reginae, and a copy exists today that dates back to Emma’s lifetime. That it would occur to a woman in the 11th century, even a queen, to do something like that is pretty impressive. HELEN: She was a remarkable woman. Her strength of character, despite many knock-backs is something to be applauded. However, she abandoned her sons by her first husband in order to re-marry, resulting in conflict and almost hatred between herself and her eldest son, Edward. I wanted to explore why this was – what happened to make these two people loathe each other? PAT: The destruction of Exeter is a good example of this. The Anglo-Saxon Chronicle blames Emma’s reeve, Hugh, for betraying the city to the Vikings. In my story Hugh is forced into doing this because the Danes have threatened harm to the queen if he doesn’t. He’s not a traitor, but everyone in Exeter thinks he is. HELEN: Yes, one major event in particular. My grandmother’s name was Emma and she also was a remarkable woman. When my father was a small baby, Grandma became cut off by the tide on a beach in Yorkshire. To save herself and her son from drowning she climbed the cliffs, holding him in her teeth. Keeping in mind that this would have been done in corsets and stiff Edwardian dress – not to mention the actual event, this was an incredible thing to do. I wanted to include my Grandma’s heroism in my story, so I placed the event as Queen Emma’s ordeal. PAT: A violent scene between the king and Emma. Anyone who’s read the book will know the one I mean. It was difficult having to imagine that scene. At the same time, given the characters that I’d created, I felt it was inevitable. It had to happen, so I had to write it. HELEN: Several of the scenes with Æthelred were difficult as I discovered that I loathed the man (probably as much as Emma did!) As a writer it is really difficult writing a character you dislike sympathetically. I had the same problem with Duke William in the follow-on novel Harold the King (titled I Am the Chosen King in the US). How I dislike that man! I remember Sharon Kay Penman giving me some sound advice for this sort of situation: ‘Think of something good about the character.’ Hmm, I couldn’t think of much that was good about Æthelred! 6. Your titles are very different, given that your books have the same central character. Can you each talk about your titles? PAT: There are three viewpoint characters in my novel besides Emma, and I came up with Shadow on the Crown because for each of these characters there is a shadow that hovers over the crown and over the very concept of queenship or kingship. It is different for each of them. HELEN: My UK title is fairly similar, A Hollow Crown. I found it a very fitting title because even though Emma held power and status during her second marriage, it was all taken from her by her son. My US title The Forever Queen, was mutually decided by myself and my US publishers, Sourcebooks Inc. I do prefer Forever Queen as a title – the US edition had an extensive re-edit which polished the novel quite considerably. 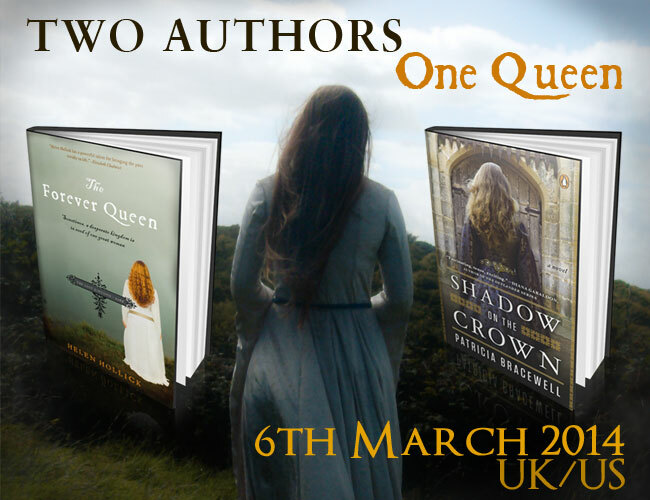 Both Pat and Helen are giving away two copies of their books, one book each for the UK and one book each for the US so there will be 4 prize winners! All you have to do to enter the draw is…LEAVE A COMMENT BELOW & state if you are a US or UK resident. NOTE: Only comments left on this blog or on Helen’s blog will count – not Facebook or Goodreads, etc. Giveaway entries accepted all day until midnight, Pacific Time. NOTE: To reveal new comments, you must refresh the page. We will be responding to comments all day long, but we will only be LIVE during the scheduled hours. If you cannot comment for some reason, send an email to pb@patriciabracewell.com or to author@helenhollick.net and we will post it for you. 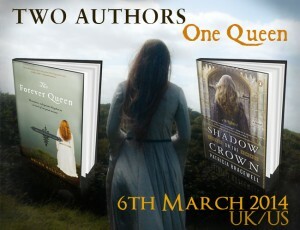 This entry was posted in Events and tagged Emma of Normandy, Forever Queen, Helen Hollick, Shadow on the Crown. Bookmark the permalink. This is kind of a frivolous question, but I’m curious: in your professional opinions, would Emma have had much of a say in the clothes she wore? Maybe it would be different at different times in her life? Hi Sonya. I can only guess at that one. Fashions did not change as quickly as they do today, and the common garb for women would have been similar, I should think, across decades. Some things would have been circumscribed: a headrail, for example, for married women. And what Emma wore on formal occasions would have been different and more lavish than what she wore when she traveled on horseback, for instance. Does that answer your question? As Pat says, this is only a guess – and a little bit of intuition, I would imagine that as she became more confident with herself (i.e got older)Emma probably improved the quality of the fabric for her gowns, the embroidery along hem, neckline and cuffs would perhaps become richer, and her jewellery would be more lavish and expensive. Fur lining for her cloaks, slippers and again hem and cuff edging. I have the impression that she would have dressed fairly plain during the early years of her marriage but extravagantly in later years. Looking forward to going live! We had great fun earlier today on my blog, lots of interesting questions. Patricia, on reading of your novel I promptly bought it and look forward greatly to reading it. I’m sure it will be a great book too. Thank you. You’re with us in spirit, Leila! Thank you! It’s Showtime! I’m here with my teacup in front of me. One thing I can say about our books, Helen, is that a great many more people are aware of who Emma of Normandy was than in the years before either of us published our novels about her. I so agree! It is a great shame that so many readers have no idea who she was – one of the reasons I wrote my novel about the events that led to the Battle of Hastings in 1066 was because I was fed up with history STARTING at 1066! I have a book on my shelf from 1974 about the kings and queens of England that starts with Edward the Confessor. It mentions Emma and said she was playing both ends against the middle by marrying first a Saxon king and then a Danish king. Hmph! Humph is right! From her beginning as a tough, resourceful innocent to her maturing into a woman who not only learned how to manage the (however limited) choices in her own life, but also make choices that promote the interests of her chosen country, Emma is a model for any 21st Century woman as well. Thanks to both of you for making her come alive! What inspired you both to pick such an obscure person to write about and do you both do all your own research? Welcome Sandy! I was inspired by Emma’s story, and wrote about her simply because she WAS so obscure! I think Helen and I agree that we were both incensed that someone so important to English history was completely unknown to most people, even those who knew quite a bit about that history. And yes, I do all my own research. Hello Sandy! I met Emma while writing my novel about the events that led to the Battle of Hastings – and became fascinated with her. It is such a shame that she is so obscure – hopefully our novels can bring her into the light a little! I just wanted to thank you both because I am fascinated with the Middle Ages, and with my own Anglo Saxon (on my dad’s side) and Danish (on my mom’s) ancestry, and your books have made Emma’s time come alive to me in a way that endless “straight” history books simply don’t seem to do. And your enticing, riveting historical fiction has led me to read so much else– both non fiction books about the period and more historical fiction. I have a question for Pat which is: How on earth did you have the temerity to write about Emma when you were preceded by Ms. Hollick ? Pat, you know I loved your book so I am so happy you took the plunge, but did you avoid reading Helen’s book before you started your own ? Or was it sort of like visiting a beautiful house and thinking “this is so lovely, but if I were to do it I would use different colors”? (something I, as a lover of architecture and interior design, sometimes do in absolutely spectacular houses)– dying to hear about this, but will conclude the question by lauding you both on your individual “takes” on Emma. Hi Cindie. I’m so glad you’re here! Thank you for your lovely comments. Quick answer to your question: I began writing about Emma before I knew that Helen had written a novel about her. Once I discovered it, I was too far along in my work to quit. And her book had not yet been published in the US, so I just soldiered on! very brave of you !!!!!!!! Hello Cindie! I know Pat has not read my novel for the reasons you say. Pat e-mailed me to ‘confess’ she’d written a book about Emma and hoped I didn’t mind. On the contrary I was delighted! The more people who write about Emma the better she will become known. And, after all, look at how many novels there are about Anne Boleyn or Queen Victoria! I find that readers want more and more novels about their favourite historical figures – it is about time Emma became a favourite! Publishing is a Very Interesting business. You’d think that it would be ideal to write about a little-known queen. But in fact it took over a year, and many rejections, before a marvelous editor decided to buy my book. Most editors commented that nobody had heard of these people, and so readers wouldn’t be interested, and so the book wouldn’t sell. One very bright editor. I have already recommended Shadow on the Crown to my former students, some of whom are still in high school. It would be a wonderful complement to the history they are studying; their English and history teachers co-teach the same students so it’s a wonderful way to bring that history to life. Mary, that’s really great. Thank you! I hope that a younger audience is still intrigued by History. I know that I was interested in historical novels when I was growing up. A lot of people who major in history begin with with historical novels that pique there interest and make them want to look further. That is a delightful response. Thank you for that. After all, look at the Tudors, espcially Henry VIII. Or even the so-called “Cousins’ Wars”, which lately seem to have been receiving a lot of attention from writers of historical fiction. You are very gracious and so right !! Actually I find her so fascinating that even if someone comes out with a THIRD novel devoted to Emma, I might wait a month or two but would not want to miss it !! Helen, I have recently read (and loved) The Forever Queen and I Am the Chosen King. Is your next book a sequel? Hello Leah, thank you for joining us! I hope to write a sequel soon – what happened after 1066, but there are so many books I want to write! *laugh* it’s hard to decide what one to do next! I am really embarrassed to admit that I haven’t given much thought to this time period, but after reading Shadow on the Crown, I am very intrigued and am looking forward to reading The Hollow Crown as well. I really enjoyed the characters, who each embodied human emotions and motives, both good and evil. Hi Mary. I have to confess – and Helen and I discussed this earlier today – that I have not read her book. Nor has she read mine. We are trying to hang on to our own images of Emma and not allow other ideas to bleed into them. That’s actually amazing but in thinking about it…it totally makes sense to me! very wise– I am impressed with this abstinence on your respective parts. And Patricia…I very much want to read your book next. It’s on my book store shopping list! Thank you Leah. And thank you for joining this event. Exactly!! I carry around a little notebook that is full of book titles that I am on the hunt for! I’m not seeing comments from Helen. Not sure if this is a technical glitch or if she had to go deal with the horses. Helen has horses! I lost contact Pat – gremlins attacked! I managed to find them off though! Patricia, Helen has said that she loathed the characters of Aethelred and William. Who is the “worst” for you as far as the major characters go? Ha! Leah, I think it is probably Aethelred. He’s always in a rotten mood. When I have to get inside his head, I always give my husband a head’s up. Rotten Mood Today! I didn’t like Aethelred, but because of his own shadow, I did feel some small bit of compassion for him…at times. Other times, not so much. I do wonder if history has made him out to be worse than he was – he failed so the records made him a Bad King. I think that is one of the aspects of history that I find so fascinating; there are so many viewpoints. How does one record accurately? I find this comment of yours fascinating…. I thought this kind of thing was the lot only of us actors. Each actor after all, in any given play, inhabits only one character, and we do sometimes take them home with us after each performance, to the despair of our spouses, until the run is over. But I thought that since an author carries the entire cast of characters in her head, she would not get caught up in any one personality to the point where that nasty one might ruin her mood when away from the computer or typewriter. I don’t envy you that, must be hard. Must be a huge relief when you have submitted your completed MS and can have a light heart for a while. And your other books just went into my book shopping notebook! Wow; You haven’t read one another’s books? That is even more intriguing. Writing is difficult work, how do you each maintain your stamina and continuity as you craft? Well, Mary, a deadline is always a good motivator. But before I had an agent or editor it was almost a debt I owed to Emma. I wanted her story out there. That continues today. I go to book events, not to sell books, but to tell people about Emma. In all seriousness, I can’t NOT write. the characters are real to me and I just have to tell their story. I envy you both; I once was a good creative writer, and somehow my master’s in English curriculum, followed by years of “work-based” writing in education, drove it out of me. If writing becomes a chore the need to write can fade 0 I write for fun, and most of my novels are written because they are the books I want to read! Very interesting. I’ve always been told I “should” write, but never had the will necessary to do it. I wonder if your “need” to do it, and enjoyment of it is the answer. Wonder what I might enjoy writing? Thanks for the tip! What a wonderful gift that is !! And how lucky the rest of us are that you “have to” write !!!!! EEK! I lost contact for a few minutes – now I’m back I’ll catch up with some answers! This is all so interesting. When I was an undergraduate studying Old English history I was fascinated by Emma and vowed one day to write her story. These ladies beat me to it! Never mind; I found other Anglo-Saxons to write about- Anglo-Saxon history is littered with strong characters but I wonder what Helen and Patricia think of the points made to me at a prize-giving lunch by Fay Weldon and Sarah Waters who both independently said that the problem with making this era popular with readers is the costumes and the public’s perception of them being basically sacks tied with belts?! Plenty more room for more novels about Emma Annie! I suppose that is an issue, of course. You’ll note that the cover of my novel has a woman who looks like she walked out of Game of Thrones rather than Anglo-Saxon England. I think that’s changing, though. I understand that Bernard Cornwell’s Saxon Tales will be made into a t.v. show. It will be interesting to see what the costumer designers do with it. I think the Anglo-Saxon NAMES are a bigger problem. Still – Ragnar Lothbrok is pretty popular right now, and that’s a good tongue twister. That’s a good point about the names – I found that I had to change/modernise almost all of my ten-century characters or invent plausible nicknames. When 20 people have names beginning Aelf or Aethel it can get confusing! A question for both of you – according to your research, how much is there to be found in the historical record about Emma’s actual physical appearance? It is! I was overjoyed to see that a contemporary of Charlemagne wrote a history of his life and reign and actually included a physical description of him and his habits. I wish we had these for all the major people in history. out of the kindness of your heart, can you supply the source/title ? or do we who are not scholars have to travel to some obscure library to read this history to which you refer? I have been hoping that Pat may grace our shelves with some historical fiction with Charlemagne on board, since there seems to be so little about him available so far (when it comes to historical fiction), and needless to say his life was so eventful (and I don’t just mean building Aachen !!) that I think he deserves a rollicking book to take us all back there to his time and make him real, as both Pat and Helen have done for Emma. Hi Cindie! The source that I mentioned is The Life of Charlemagne by Einhard. It is easily available – I think Penguin published an edition. Not a great deal, Leah. But she had more access to beautiful textiles, to warm baths and to grooming products than the average person. She must have looked pretty good by comparison, don’t you think? That’s true! And better food than the average person as well, I’m thinking! this is a question for Ms. Hollick: If you find it too long winded just reply with a yes or no !! I have been referring back and forth endlessly (I really should xerox the map to make this process easier) from the text of “A Hollow Crown” to the map at the front of the book. BUT I am struggling with place names that are referred to in your book but are not shown on the map (at least, I can’t find them). For example, Thetford is on the map but the description of Thetford in the book mentions that at the time described in your narrative, Thetford ranks second only to Norwich in importance, and that Norwich is a trading town “one and thirty miles to the northeast”. And Forkbeard moored his ships at Norwich. I want to see Norwich on the map ! (or am I just growing old and blind, which is entirely possible, maybe you will tell me to get out my reading glasses). And this is perhaps a dumb question but where is Norfolk (must be near Norwich since your book mentions the English of Norfolk trying to decide what to do when Forkbeard was sacking Norwich)? I am guessing that your publisher perhaps simply did not have enough space on the map page to include every desirable detail. (although I love seeing Bruges, Fecamp and Le Cotentin across the way on the map, that is so marvelously helpful and unusual to have them on the same page as the map of England). So I suppose my question is, do you have a favorite map showing England at this time period in greater detail, to which your readers could refer when driven to relate every place to each other place as I am wont to do ? Oh, a fellow “map flipper”. I am not alone! oh phew. i really wondered if it was okay to post this. but i am wildly curious about what the publisher did to the map which I bet Helen originally proposed for her book !! The map was designed by my publisher, and unfortunately we couldn’t get everything on it, so only the main places were added. Can I get back to you with a more detailed answer? (please feel free to e-mail me on author AT helenhollick DOT net – we can chat in detail! yes I would love that. Thank you SO much. I feel I have some deeply recessed British genes – despite being from Swedish/German background researched back to the 1700’s…if I dig deeper I’m sure ill find something exciting – I just feel such a kinship! I even had a medieval themed wedding! My question is will you both continue to write these wonderful books set in these time periods or do you have other things in mind? My answer to that is that I have a third book in the trilogy still ahead of me. Book 2 has just gone off to the Copy Editor. After that…well, I haven’t thought about it much yet. I may look back, toward Alfred’s daughter, Aethelflaed. Don’t know yet. Helen might beat me to it. oooooh, can’t wait to read your Aethelflaed !! Cornwell’s is quite enchanting but of course we need a female perspective on her life !!!!!! That will make Cindie and Sandy happy! I just looked at the book summary. It’s not unlike SHADOW. Aethelflaed is a character in VM Whitworth’s The Bone Thief, & of course in Cornwell’s later novels, & now the centerpiece of yours. And of course Michael Wood did that wonderful t.v. episode about her. So the Lady of the Mercians is starting to make a name for herself. Best of luck with To Be A Queen! Sandy if you have some Swedish/German background, you probably ARE related to these people. The Saxons originated in Germany. And the vikings came from all over Scandinavia. Well Saxon and German are almost the same Sandy! I am writing a pirate-based adventure series (The Sea Witch Voyages) at the moment. I needed a break from the ‘serious’ stuff & my Captain Jesamiah Acorne is such a charmer he rather has me hooked at the moment! But I do intend to write some more historical fiction soon! Thank you both for doing this for us! It was very exciting and I’m sure I speak for everyone when I say it was such an exciting honor to “converse” with you! Just as exciting for us Sandy – and I think I can also reply for Pat – the honour is ours. Without you as readers there would not be much point in us writing our books! And another question for you both …. when you are not heavily into “writing mode” what do you like to read for pleasure? Any favourite historical novelists? One of the hardest things about writing is that you have so very little time for reading. I listen to books on tape. Current listen: Ivanhoe. It’s true. I’ve never read Ivanhoe. Even I can’t believe it. I’ve just finished Ann Patchett’s ‘This is the Story of a Happy Marriage’ which is a collection of her personal essays. And some fantasy: The Golem and the Jinni. And Moth and Spark. Up next: I finally bought Paula Brackstone’s The Winter Witch because on every bookstore shelf it was right next to mine! How’s that for a good reason for reading? I haven’t read Ivanhoe either! Tsk tsk… and it is even on my bookshelf. I usually red lighter fiction for pleasure though – a good murder mystery for instance! Cindie asked about maps. Norfolk is a county of England, and Norwich is a town in that county. Over in East Anglia. You should be able to find them even on a modern map. But I agree that maps are really important when writing about this time period. So helpful. I have to get the maps from my book on to my website. I’ve been bad to leave it go for so long. This interactive live conversation is such a wonderful testament to both of you for keeping in touch with us, your readers. Emma would be so thrilled to see her day celebrated with this wonderful dialog about her. A truly amazing woman. Welcome Michael, and Thank You! I sometimes wonder what Emma would think of all this technology! Thank you Michael – it is a bit hectic trying to read the comments and type the answers quickly though! You know, what always surprises me is how different historians interpret her behavior. I interpret it one way, others look and see completely different motives. One historian I read wrote that Emma would have been thrilled at the sight of Swein’s viking fleet coming to attack England – presumably because of her viking background. I don’t agree with that at all. Hi Pat. No, I don’t agree with that assumption either. It is fascinating how two people can look at the same source and interpret it so very differently. I was intrigued about why Emma and her son Edward did not seem to get along – in fact they seem to have hated each other. One of the reasons I wrote my novel was to explore why this was the case. Hi Helen. Yes, that is an intriguing snippet that bares exploration which I think you did wonderfully in your book. Emma was a complex and fascinating lady. Thank you Marsha – indeed she was! You succeeded, in tying her lack of feeling for Edward to the violence of his conceiving and the lack of love for his father. One’s firstborn should be conceived in love, not violence! okay this is really far out there, but if Cornwell’s Saxons are going into video or whatever, are either of you (or both of you together) exploring the possibility of bringing Emma to the screen ? Or is that something that you rely on your agents to do for you ? I loved the TV versions of the Borgias and The White Queen and even the Tudors….. give us Emma !! Great question! Big screen? Although, I do hate when I have read a book and then the movie doesn’t match my imagination. Thank you both for capturing my interest in this time period! I don’t think this could happen for me until the trilogy has been completed. By then….who knows? Vikings and Anglo-Saxons may have gone out of style. Look how long it’s taken Gabaldon’s outlander to come to the screen. 2 decades, I think! Well if I were a movie or TV mogul, I would go right ahead and make your first volume into the first season of a 3 season TV series !! The author of Game of Thrones is apparently only one tiny step ahead of the release of his last book on the tube ! I am co-scriptwriter for the proposed movie 1066 Cindie – we have the English actress Susan George cast as Emma. All we need is the funding and the movie will get made! fantastic– let us know if we can contribute via Kickstarter, but I assume you will get funded by moguls !! I cannot wait for this movie. Keeping my fingers crossed that the funding will come through. As co-scriptwriter I’ve ensured we have kept to as nmuch “fact” as possible – although as the movie is entertainment, not a documentary, there has to be some poetic licence. Funding will be coming from the Big Boys, yes – we need alot to make the movie, as we’re going for Oscar standard! As someone who has just started writing a novel set in the Anglo-Saxon period. Could you advise on any historical pitfalls to avoid? A perfect question for our finale! Now if I could just think of an answer! Christine, can you be more specific about what, exactly, you mean by that? I suppose the question should be, Did either of you have to change anything that you later find was anachronistic to the period. BTW I am writing about Byrhtnoth – Battle of Maldon, but his early life, about which nothing is known! I would say don’t keep researching – get on and write. Not wanting to push my own work too much, but I have a ‘tips for writers’ book called Discovering the Diamond – there’s quite a few tips in there – all learnt from experience! I’ve already got that, and very useful I’ve found it. Thank You both for an interesting event. Oh thank you Christine – I’m glad it was useful. Email me on author AT helenhollick DOT net – would you like me to take a quick look at your first chapter? I’ll be happy to do so as long as you’re OK with an honest response! Still trying to answer your question, Christine. Byrhtnoth – so will you not be writing about Maldon? Such an interesting event and an interesting character! You know, it was little things that I discovered – candles placed BESIDE the altar in the churches rather than ON the altar. More difficult: the language. I tried to stick to words that were rooted in OE or Latin. It is very limiting, when you think about it. I think, if you do thorough research in the period, you can’t go too far wrong. Have you read HILD? Nicola Griffith’s new novel. Truly wonderful and inspirational. Best of luck with your book! I’ll continue to respond to any comments or questions throughout the afternoon and evening here in California. Thank you to everyone who joined us, and especially to the marvelous Helen Hollick who came up with this brilliant idea. Let’s do it again, Helen! And we haven’t forgotten the Giveaway. We’ll be doing a drawing from the names of those who left comments. Thank you both so much. It has been a great and informative way to spend an hour of my afternoon! What a wonderful event this turned out to be! Thank you everyone who took part! I’m off to bed soon as it is late here in the UK, but I will call back tomorrow and catch up on anything I missed – and thank you, Pat, for having the faith and courage (or should that be daftness! LOL) to take part with me! Here’s to Emma – Queen of England! Emma, Queen of England. Still fascinating after all these years. Good night, dear Helen. This was a fabulous event. Just wish I could have participated more. Thank you Pat and Helen for doing this. Wish I could have spent more time participating. Such fun. You ladies are brilliant authors and even more important lovely and kind! Thank you for that, Marsha. And for all your support! One of the best things about being an author is getting to meet such lovely readers Marsha! As today is my birthday and I love your books, I would really love to win a copy. Thank you for the giveaway opportunity. Happy Birthday, Evelyne. You will be in the draw!